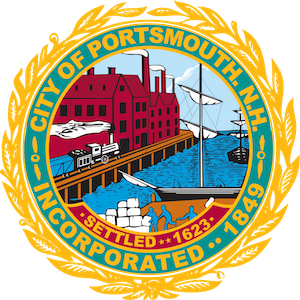 This original collection of 19 historic, depicting buildings and scenes of Portsmouth and the Seacoast area, was donated to the Portsmouth Public Library by Joan Christy, Winter 2018. This collection of 14 original drawings, which shows buildings and scenes of Portsmouth and the Seacoast area, was a bequest of the Helen Pearson estate in 1949. "When All Things Were in Quiet Silence"